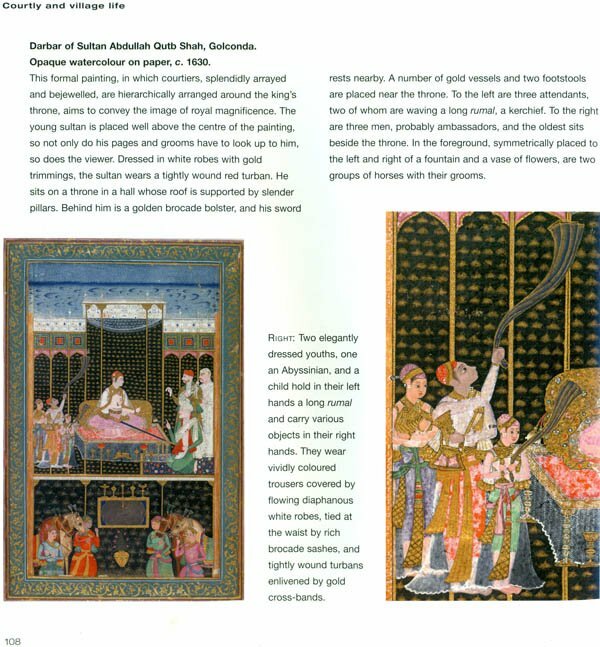 This beautiful book offers a striking and unusual view of a wide array of Indian art. It highlights close up and in colour outstanding examples of design, workmanship and craft in dramatic sculptures of metal, stone and wood as well as sumptuous paintings and textiles. The book opens with an introduction asking "What is Indian art?'. This is followed by a series of chapters showing how the functions and purposes of each object reflect its cultural context and determine the choice of image. By illustrating the complete artefact as well as exceptional features through the use of enlarged details sometimes virtually invisible to the naked eye intriguing insights and unusual comparisons can be made. The selection of details evokes the hand and eye of the most accomplished Indian craftsmen over thousands of years. Ideal as a souvenir or introduction to any museum or gallery visit, the book will provide endless creative inspiration. A.L. Dallapiccola is Honorary Professor at the University of Edindurgh and makes regular research visits to India. She is the author of Indian Love poetry, Hindu Visions of the Sacred, Hindu Myths and a Dictionary of Hindu Lore and Legend. 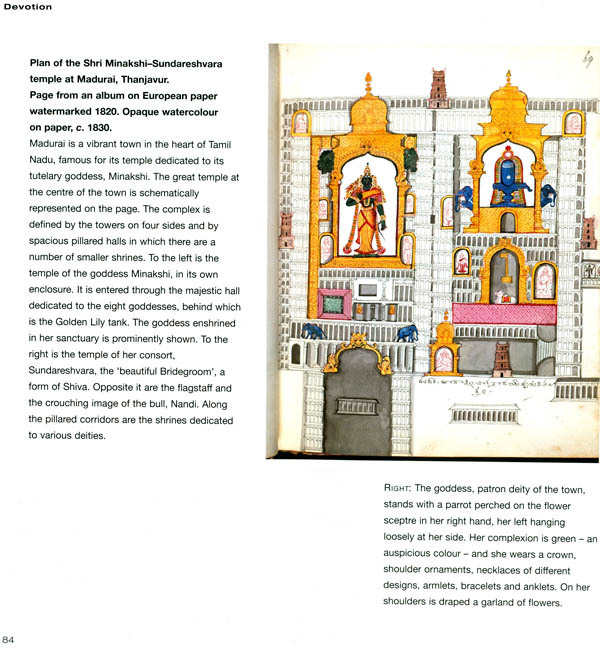 She is currently preparing a catalogue of the south Indian paintings in the British Museum. 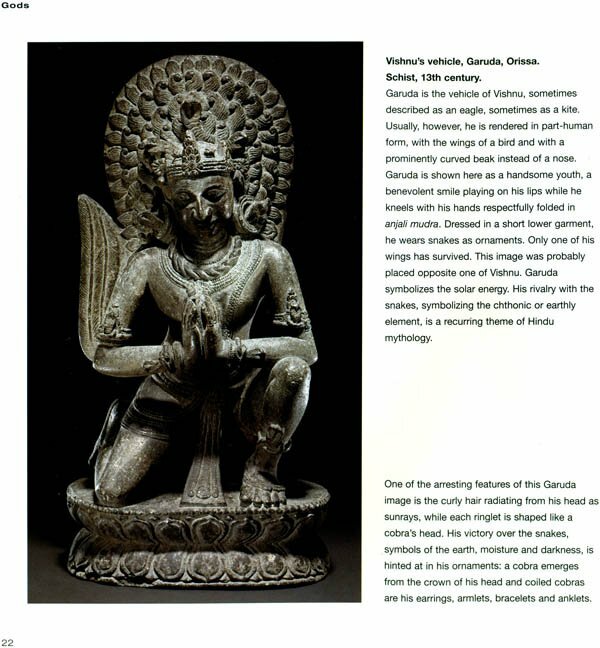 The first information on Indian deities to be found in Western sources comes from Greek authors. In describing the victorious campaign of Alexander the Great to India, in 327-326 BC, they dwell at length on the customs and manners of the Indian people. They speak of a god, Krishna, whom they identify with the Greek god Dionysos, who was known to have conquered India, and Alexander himself was eager to surpass Dionysos' achievements and march further into uncharted territory, which, incidentally, he did. The other god they noticed was Shiva, whom they identified with Heracles. Despite this early interest in Things Indian, the reception of Indian and especially Hindu art in the West has been problematic. From the end of the Middle Ages it has been a greater source of debate among the learned than any other non-European art tradition. This is not the place to examine the nature of these debates, but rather to look at the objects afresh, from a 21st-century perspective. This book is divided into four main sections: gods, heroes, devotion and courtly and village life. The objects, all from the rich collections of the British Museum, are arranged by themes rather than chronologically. 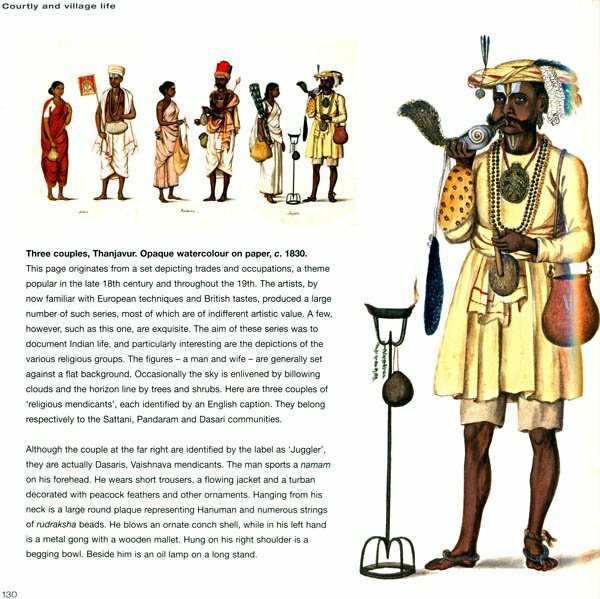 The connection between the Indian subcontinent and Britain goes back at least to 1601, when the East India Company was established for the purposes of trade. The links continue up to the present day through shared populations and history, two-way commerce, a common language, educational exchange and many aspects of intertwined cultural life. 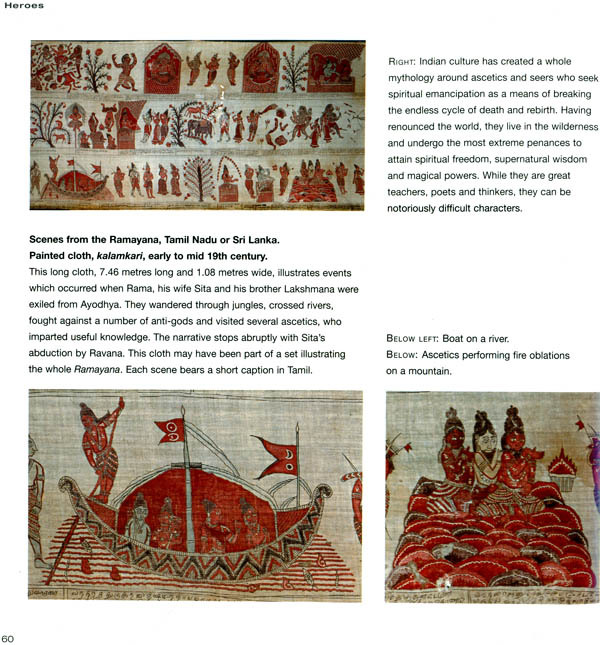 Given this history, it is not surprising that the British Museum contains one of the most comprehensive collections illustrating the culture of South Asia; it is surely one of the most varied. These collections range chronologically from Palaeolithic stone axe-heads through to the works of 21st -century artists, and from miniature paintings produced in 17th-century courtly ateliers to sculptures of rural deities made of papier mache and used by storytellers. These collections are to be found primarily in the Department of Asia (which now incorporates the Museum's large ethnographic collections from South Asia), but also in the departments of Coins and Medals and of the Middle East. Examples of this great variety can be viewed on the Museum's website. Further, from late 2007, all the database records of the two-dimensional works of Indian art - primarily paintings, drawings and prints, but also some of the textile collections - will be available electronically. Meanwhile, this book provides an ideal opportunity to see at close quarters, and to understand, some of the great works in this collection - as well as many that are less well known. The Indian collections have been gathered together in Bloomsbury over more than 250 years. It is noteworthy that when Sir Hans Sloane, whose collections formed the foundation of the British Museum, died in 1753, there were already contemporary paintings from the Deccan courts of southern India in his collections (these can still be viewed in the displays in the Enlightenment Gallery, Room O. These are the earliest- acquired Indian items in the Museum. Indian sculpture arrived later, especially in two outstanding acquisitions associated with that polymathic collector Sir Augustus Wollaston Franks - the Bridge Collection (in 1872) and the collections of the disbanded India Museum, the museum of the East India Company (in 1880). The former is of special interest as it had been put together in India by the remarkable Major-General Charles Stuart, known to his East India Company contemporaries as 'Hindoo' Stuart on account of his advocacy of the virtues of Indian culture. 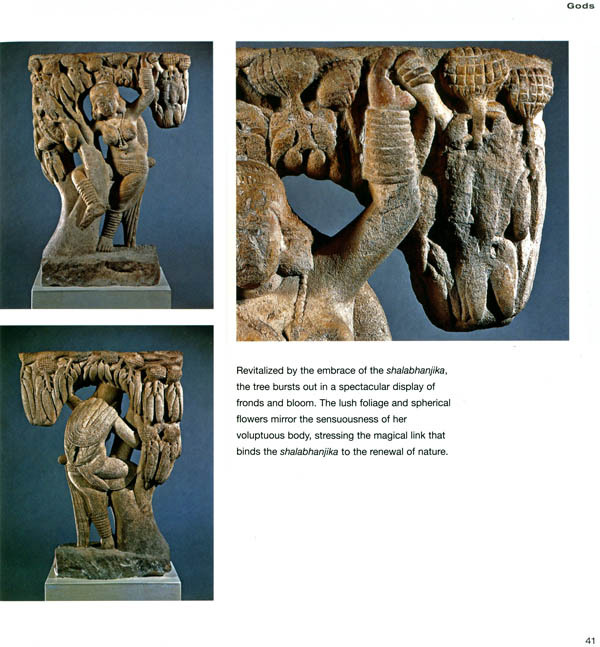 The latter acquisition included the remarkable series of sculptures from Amaravati, the early Buddhist site in Andhra Pradesh. Collections of paintings from the Indian subcontinent have entered the Museum throughout its history, with the result that examples range from the 12th century to the present and from the Himalayas to Sri Lanka. Finally, from 1938 onwards, the South Asian collections at the Museum have benefited very substantially from the generosity of Percy Brooke Sewell, especially through the terms of his will, as this provided funds for the acquisition of important works of art from the subcontinent. The permanent displays of South Asian sculpture can be found in the Hotung Gallery, Room 33, while temporary exhibitions feature periodically in Room 91. The latter sometimes include examples of Indian paintings from a wide range of regional, chronological and functional traditions. Considerable help and encouragement in the production of this book have been given by Richard Blurton and Sona Datta in the British Museum Department of Asia, the photographers John Williams and Kevin Lovelock, Nina Shandloff and Axelle Russo at the British Museum Press, and the book designer Peter Ward and editor Iudith Hannam, to all of whom the author expresses her heartfelt gratitude.